This item is heat sensitive. It is only available for purchase between October 1st and June 14th. We temporarily discontinue the item during the summer months, from June 15th - September 30th, because it ​might melt or spoil in transit. 21st Century Vita Joy Omega + DHA Gummies support brain, heart and eye health. 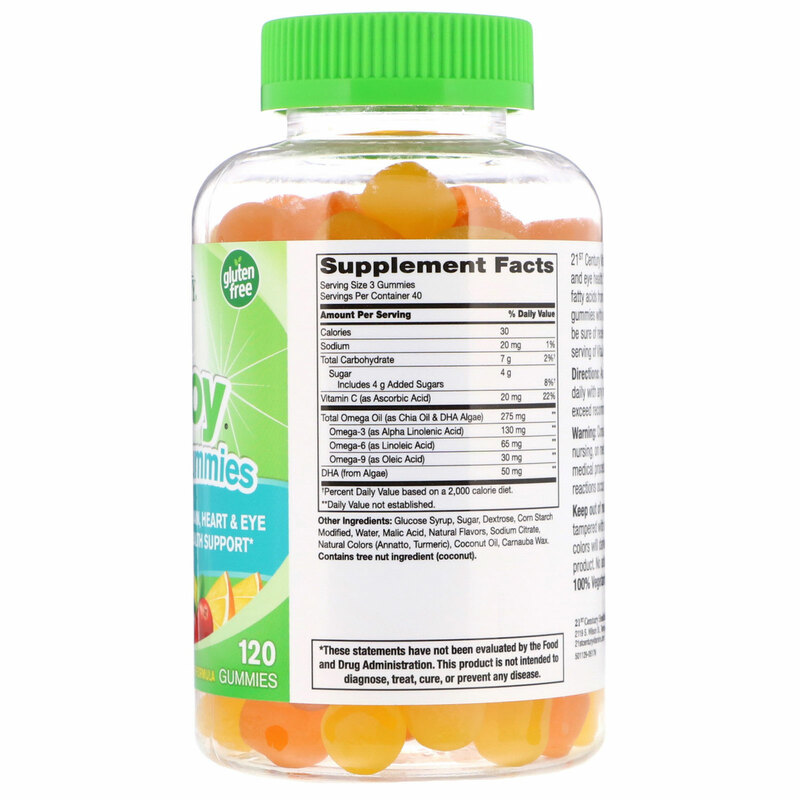 Vita Joy Omega + DHA gummies provide essential fatty acids from a high quality vegetarian source, not from fish. These gummies with naturally sourced fruit flavors taste great too! 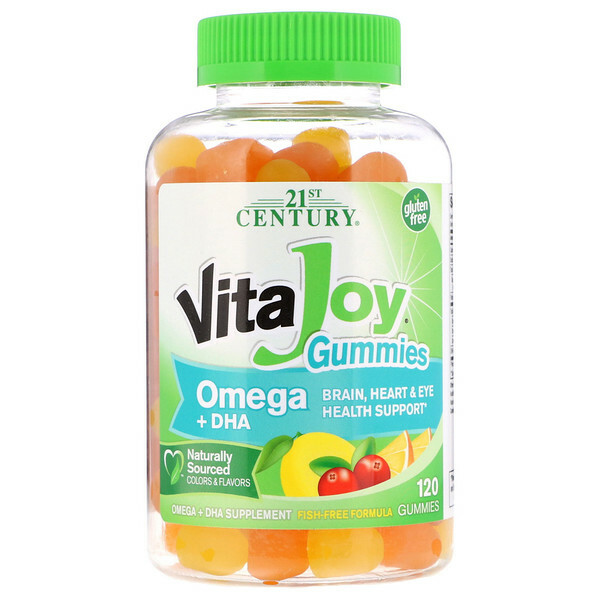 You can be sure of receiving valuable nutritional support with each daily serving of VitaJoy Omega + DHA Gummies. As a dietary supplement, adults chew three (3) gummies daily with any meal or as directed by a healthcare provider. Do not exceed recommended dosage. Individual results may vary. Glucose syrup, sugar, dextrose, corn starch modified, water, malic acid, natural flavors, sodium citrate, natural colors (annatto, turmeric), coconut oil, carnauba wax. Contains tree nut ingredient (coconut). No added yeast or preservatives. 100% vegetarian.